Cidrines Bakery is the undisputed leader in the bread and pastry market in Puerto Rico. We meet the daily needs and preferences of the bread and pastry market by supplying products and services of unbeatable value. At our plant in Arecibo we produce over 300,000 pounds of bread and over 200,000 items of pastry every week. More than quantity, the priority at Cidrines has always been quality which together with our commitment of innovation and creativity makes up our successful business model. We work hard every day to bring you the well made product that you deserve – a product that you can get hot and fresh at the precise moment that you want it and at your favorite store. Creativity, innovation, excellence and quality – that is our secret recipe. Our vision consists of providing a unique experience to our customer. Cidrines was founded in Arecibo in 1978 by two brothers, Manuel and Guillermo Cidre. That same year, they opened their first store specializing in bread, pastries, sandwiches and hors d’oeuvres. Their famous “Quesitos” and “Sobao” bread became the favorites of all over the Island, who travelled to Arecibo to find these delicious products. For their commitment to service and quality, Cidrines, quickly earned the patronage of not only the town of Arecibo, but also the rest of the Island. In August of 1982, they opened their second store in San Juan, becoming the first bakery to expand to the capital of Puerto Rico. 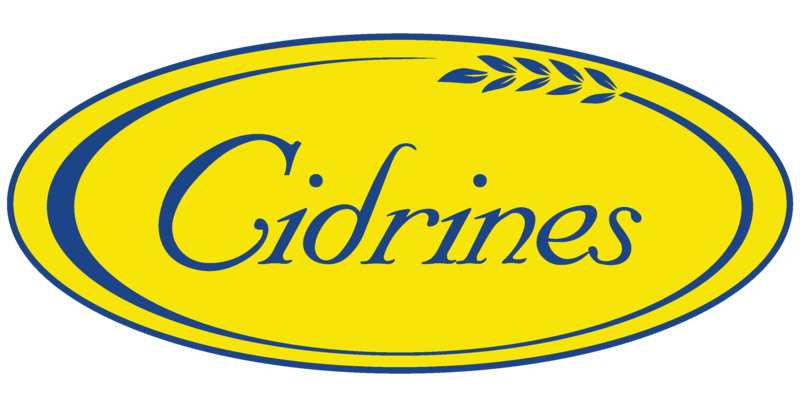 By 1985, Cidrines became the first and only chain of bread stores and bakeries in Puerto Rico under the same name. In order to maintain uniformity of the products in its stores, Cidrines established a manufacturing operation in the Zeno Gandia Industrial Park of Arecibo. In the beginning they had 4,000 square feet to make the breads and “quesitos” that they sold in their stores. In 1990, they centralized all of the bread and pastry production, increased the size of their facility to 20,000 square feet and invested in machinery and equipment. Cidrines Bakery was the first company outside of North American territories to have a blast freezer, as well as the most advanced sheet pastry machine and cold integrated pastry finishing line. As a result of these investments, they then had the additional capacity to allow development of the concept “Having a bread store is as easy as calling 1-800-DAMEPAN”. This novel concept was initially accepted by small grocery stores and supermarkets, and then by the large chain stores, discount warehouses, independent bread stores and fast food businesses. It gave them the opportunity to offer a well recognized brand without the need to invest in equipment, machinery or to hire specialized personnel. With the intention of increasing the production capacity and sales in the local market and pastry exportation, in 2000 Cidrines acquired the Rademaker dough rolling with cold integrated finishing system. This investment made the Cidrines a leader in the manufacture of sheet and puff pastries in the Caribbean. Cidrines inaugurated its first manufacturing plant in 1986 to produce “quesitos” wholesale. Today, Cidrines elaborates more than 100 different items, from our famous sobao to all kinds of pastries. Our manufacturing and conservation process, is the most advanced in the Caribbean, and assures that the product gets to its destination fresh and delicious. Our doors are open to the public, visit us! The visits to the Manufacture Plant are interesting, educational, and are part of our commitment with our community. The guided tour of our facilities lasts about 45 minutes. You will be able to see how the bread is prepared, starting with the mixing of the flour with the other ingredients, and at the end you will taste some of our freshest products. Our facilities are located about one hour from San Juan, off Exit 77A of the José De Diego Expressway, Road #129. The visits are by previous appointment and can be coordinated by calling 1-800-DAME-PAN (326-3726) or by sending us your comments here. The manufacturing operation of Cidrines has three main production lines: one is dedicated to the production of frozen breads, the other one has the Rademaker roller and finisher, the only one in Puerto Rico and the Caribbean, dedicated to the production of puff and sheet pastries with different fillings; and the youngest one of our Company, the semi automated part bake line. It can produce different of types of bread partially baked. Cidrines is the undisputed leader in the bread and pastry market in Puerto Rico. We meet the daily needs and preferences of the bread and pastry market by supplying products and services of unbeatable value. At our plant in Arecibo we produce over 380,000 pounds of bread and over 200,000 items of pastry every week. More than quantity, the priority at Cidrines has always been quality which together with our commitment of innovation and creativity makes up our successful business model. We work hard every day to bring you the well made product that you deserve – a product that you can get hot and fresh at the precise moment that you want it and at your favorite store. Creativity, innovation, excellence and quality – that is our secret recipe. Our vision consists of providing a unique experience to our customer. For more information on business opportunities with Cidrines products, development of private labels or personalized recipes, you can contact us at 1-800-DAMEPAN (326-3726) or here. Social commitment has distinguished Cidrines from its start. We support entities on our Island that are identified with social needs and that have a high commitment to improve the quality of life. This effort is not limited to product donations, we believe in donating our best asset, our human resources.